Running a local web server on your Macbook Pro isn’t that special. Mac OS has Apache server installed per default. You just have to activate it via the terminal window (ie: check out this post to see how). I love working in the Terminal prompt but not when it’s for tedious config and setup stuff like localhost redirects and local redirect settings. After Googling around to see if there were other FREE tools besides MAMP. I’ve been using that app in the past but I don’t always want to use mySql and PHP per default. Not since client-side JS evolved so fast and stuff like AngularJS started to really define the game! In this post I’ll show you how to setup a nice GUI for Apache running on your Mac and the steps that you need to take to get a nice config going. My Googling led me to Apache GUI. This is a JAVA based – I know, it scared me at first too – GUI that runs on your machine and lets you setup stuff in your browser running in Localhost on a specific port (9999 is the default). 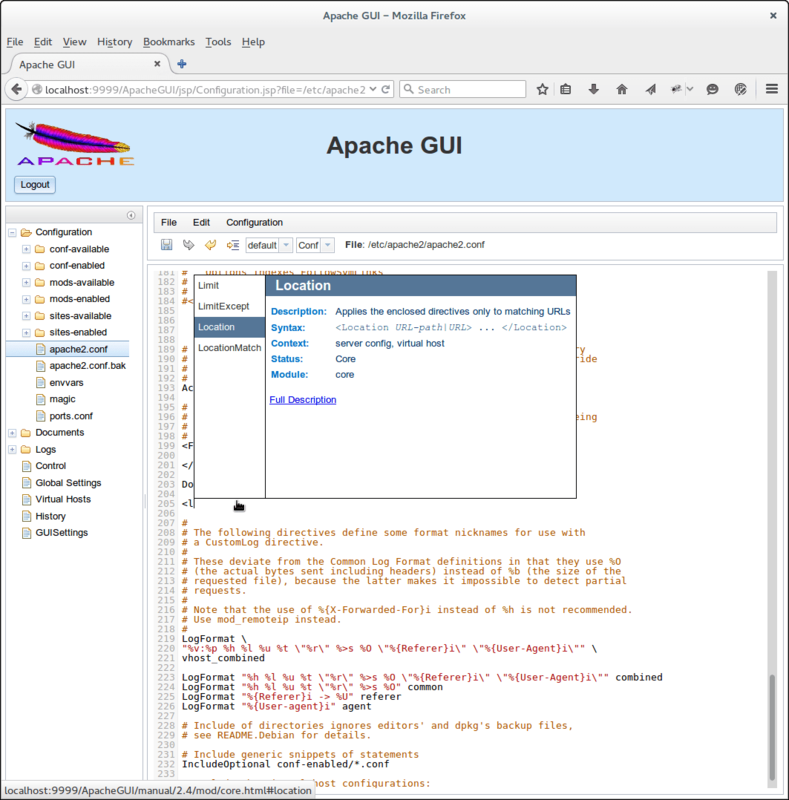 Although Apache GUI itself is very clean and easy to use you have to install it first, and setup your machine so you can play nice with multiple websites on your localhost and have a workable structure. Comment out (using #) or remove the DocumentRoot and add a new entry. In the above example the document root for Apache has been changed so it looks for the Sites directory in your user profile location. All the files placed within that directory will be served on the Apache server. Setup the hosts in Apache GUI by navigating to http://localhost:9999/ApacheGUI/ (if you installed it with the default port etc) and select Virtual Hosts in the left menu (one of the last items). This basically generates entries for virtual hosts in the httpd-vhosts.conf file that your Apache now includes.You can always view and edit the vhosts config in a raw format by selecting it in the left under Configuration->extra->httpd-vhosts.conf. This registers the /kittenwebsite subdirectory as a virtual host under kittens.loc. Making all the files under that directory available. Make sure there is a file that Apache can find for you – like index.html or index.php – in your website directory (If you followed the steps above: /Users/YOUR_USERNAME_HERE/Sites/kittenwebsite) and watch it being served when you enter kittens.loc in your browser! Need to dynamically update your hybrid app’s web content & code? CodePush to the resque!